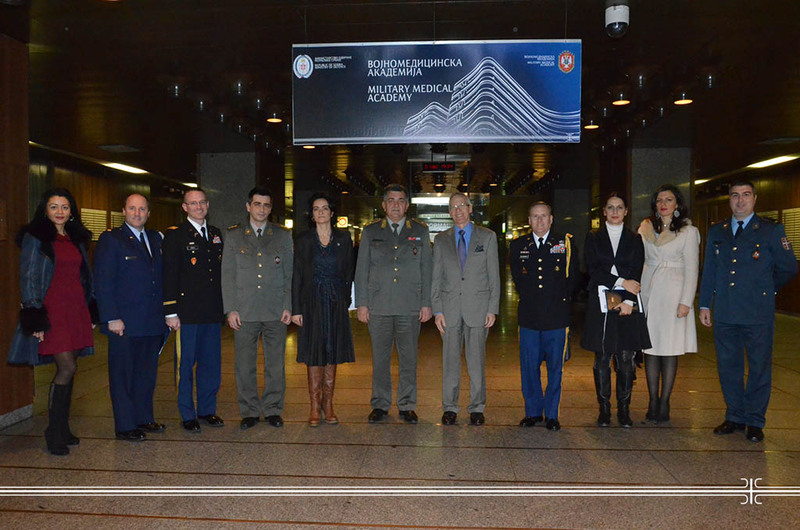 Today at the Military Medical Academy, U.S. donation protocol for realization of DHAAP Program for HIV/AIDS Prevention and Control in Serbian Armed Forces has been signed. Protocol signatories were Colonel Dr. Rade Guberinic, Head of the MMA Sector for Logistics and Colonel Ralph Taft Blackburn, U.S. Defence Attaché in Belgrade. Signing ceremony was also attended by the Military Medical Academy Head Brigadier General Prof. Dr. Marijan Novakovic and U.S. Ambassador in Belgrade Michael Kirby. In media statement, General Novakovic characterized AIDS as global problem present in all societies and all armies and emphasized the fact that donation obtained on this World AIDS Day was partly worth due to the fact it has been used for educating MMA physicians abroad. -Perhaps, this is not the greatest problem Serbian Armed Forces confront with, but it represents the example how to approach each problem- with responsibility, dedication and continuation. Extremely important is prevention, i.e. timely informing young population about the severity of this disease- said MMA Head. Ambassador Kirby stated that best way to treat each disease is to prevent of having it. That is also the case with HIV. -It is our pleasure to give this donation precisely to MMA because that is a place gathering large number of professionals who will find the best way to use it. We hope we will continue successful cooperation with MMA for many years- said Ambassador Michael Kirby, adding that in the past few years Americans have donated more than $84,000 worth HIV/AIDS related material. Donation represents the part of the project "HIV/AIDS Prevention and Control in Serbian Armed Forces", launched in 2006. This year $100,000 worth donation consists of numerous test kits for early and fast diagnostics of patients suffering from the named virus, especially suitable for terrain purposes. On the occasion of December 1st, i.e. World AIDS Day, a movie titled “HIV in Military Population” has been presented. Distinguished guests then took a tour around MMA Diplomatic Ambulatory to see donated materiel and to test for the virus.